V Findlay Wolfe BLOG: Done in Midland! 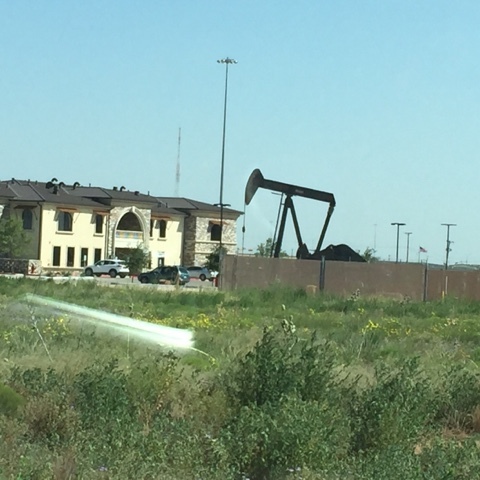 Midland, Texas! We are having such a great road trip! We have seen so much of this huge state, it's all been very interesting. We travelled to Dripping Springs to Valli & Kim quilt shop, out for BBQ at the Salt Lick, then onto Wimberley, Blanco area, Before heading on to Midland. Yes, it is flat! And hot! 108 when we drove in, but I really do not mind the heat. 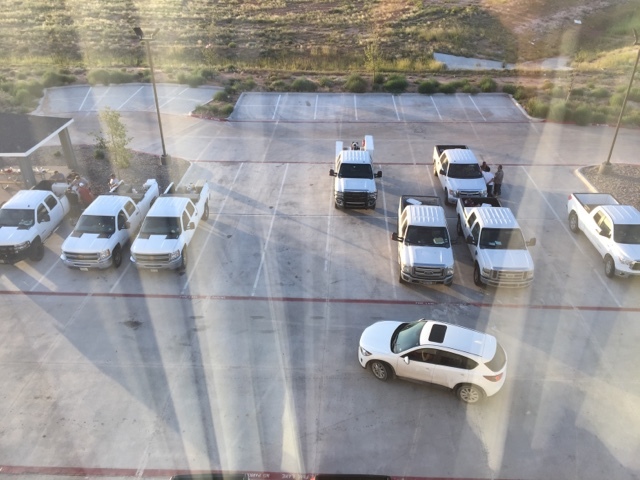 I got quite a chuckle when I looked out of my hotel window and saw all the white trucks! 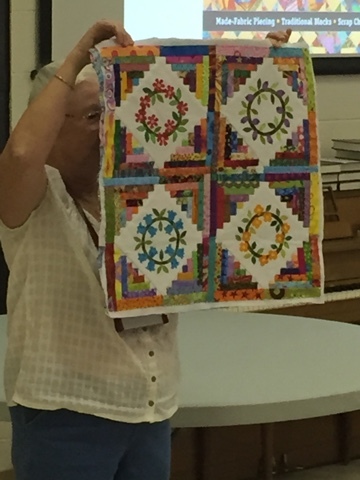 A workshop and two lectures later, the Midland Quikters gave me all these signature blocks for my quilt! Yes, you can still send me blocks! Link in my side bar for instructions. 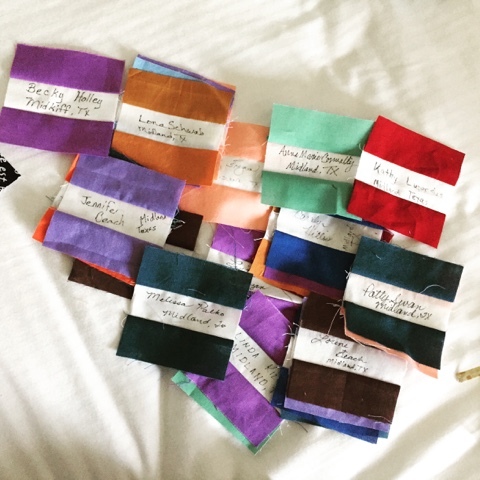 I have not had much time to work on them, but I will eventually and all my memories will be in my quilt. 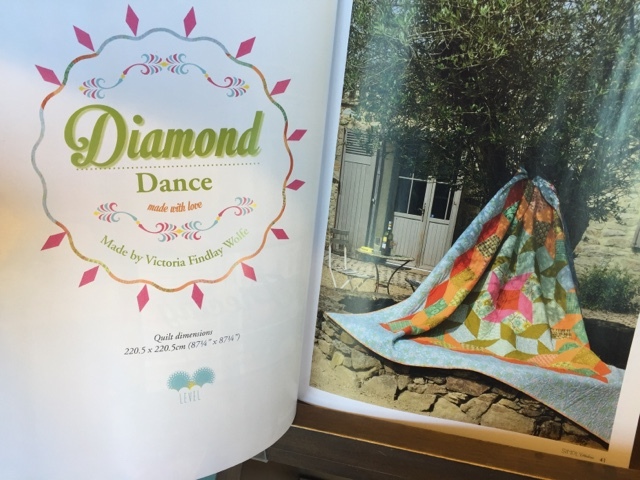 This is their Raffle quilt! Which is beautiful!!! Becky even made a mini version, that will be given to the person who sells the most raffle tickets! Wow! Isn't it darling? I met many wonderful women on this trip, and here in Midland, and I'm so pleased they let me come to play! Thank you ladies! I swung by Barnes & Noble and look what I found!! 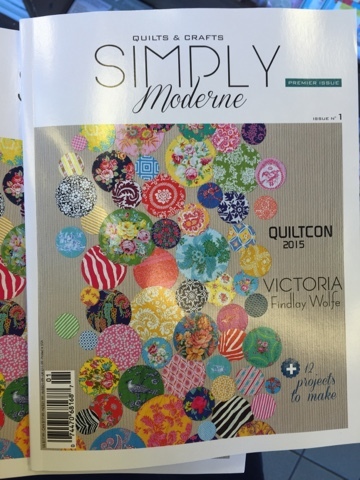 The first issue of Simply Moderne is out! And what a treat for the eyes, it is! 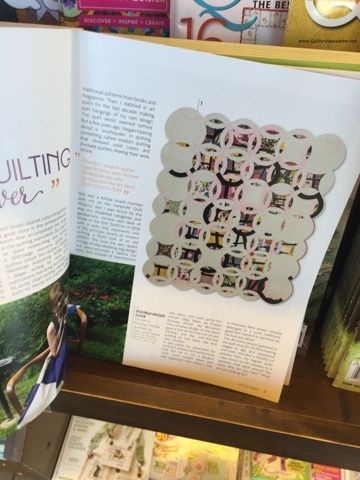 So many beautiful projects inside, including a few of my own that I did not expect to see in the magazine! Below is my Lost and Found in Translation quilt. Above is double Edged Love! 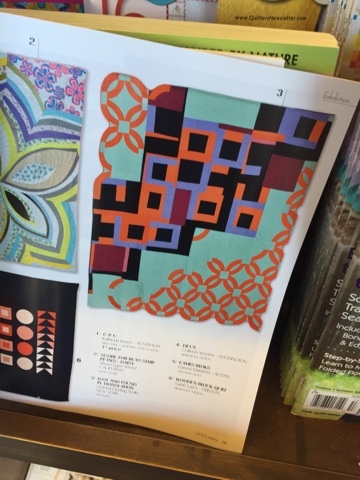 I have a pattern in the magazine as well! So go check it out! 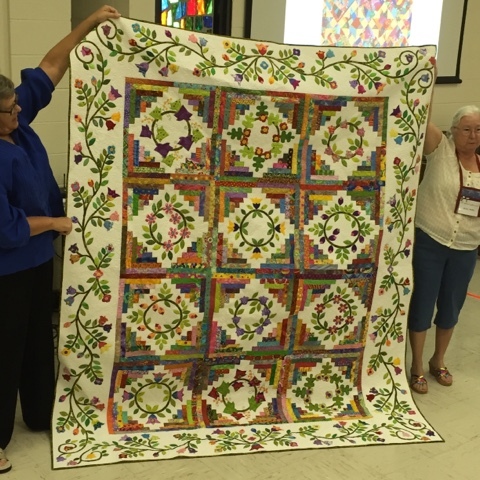 And see all the lovely eye candy quilts! Last night I also found out that my quilt, "Farm Girl" was accepted into Houston International Quilt Festival! 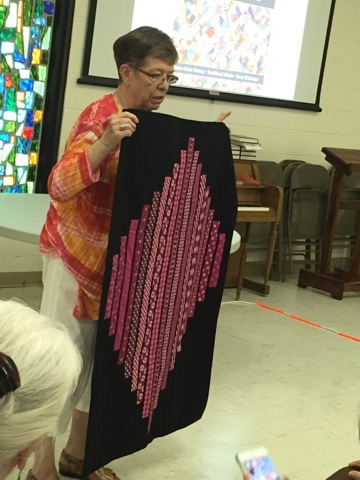 I'm honored and happy that my quilt will be shown. I'll see you in Houston! I'll be there for market and festival! For now, my feet are up, and we are relaxing before driving to Bandera, TX tomorrow! I'm off with Beatrice to play for a few days (giddy up, pardner) before heading to Lakeview and Houston guilds next week! As a Dutch girl who loves Texas this I love this post (think your road trip is wonderful anyway, such a great idea to do this with your daughter). If you are going to have some fun for a few days and going to Bandera does that mean you will be going to a dude ranch there? We did a few years ago and had the best of times! Stayed at the Running-R Ranch, great time during the day with the horses and those evenings, so quiet on top of the hill, with the horses- after their work was done - walking past our cabin on their way down to the lake to cool their legs. It was specail hope you have a great time too. Looking forward to your next adventures! And I am so glad my car is orange - it is easy to find when returning to the parking lot.!!!!! I'm enjoying all your road trip posts, it sounds like a great time. Love road trips that include lots of fiber art. Enjoyed your post.